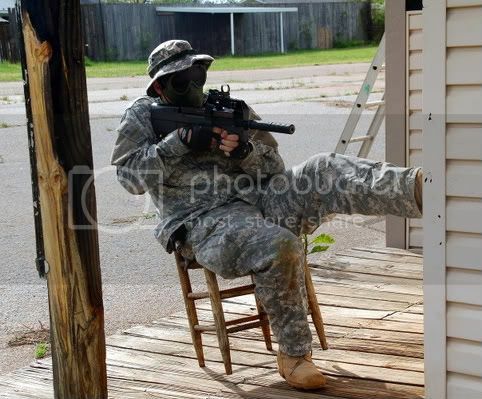 Airsoft Organization of South Carolina | View topic - Getting back into the game-hey! Getting back into the game-hey! Post subject: Getting back into the game-hey! Hey ladies and gents! I came across these boards, and just thought that I should introduce myself. I last played about 7-8 years ago, and got inspired by a couple of buddies that play in Jacksonville, Florida. So, naturally, I found some of my old gear, and started piecing together a new kit. I'm pumped that there's a group in the area, and am hoping to come out and join you guys! Post subject: Re: Getting back into the game-hey! Glad to have you, what'll be your first game? I'm thinking my first game is going to be Either June 6th, or the one on the 20th. I might be able to bring a couple friends, and let them get their feet wet. Sounds good, hope to meet you then!